It's not just the breakfast that I was invited to review, but also the new restaurant in Manchester's largest train station, Piccadilly. 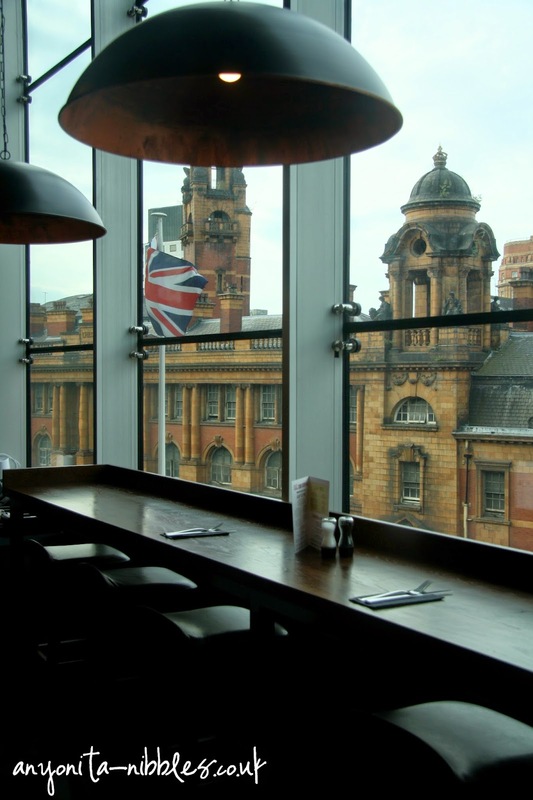 Set on the first floor of the station, overlooking London Road, this TGI Friday's is filled with intricate details that reflect both the company's usual quirky, modern decor whilst embracing a completely Mancunian vibe. 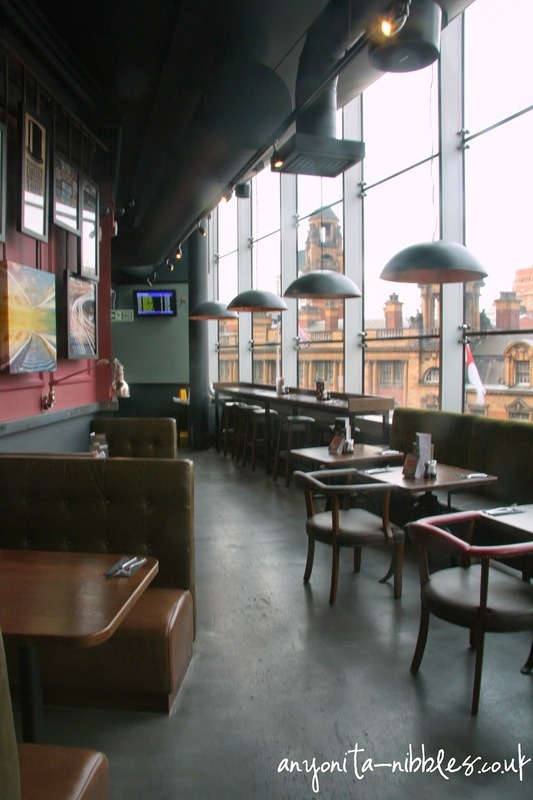 Plush, leather seats and gas-lamp style industrial lighting evoke feelings of Manchester and its history of establishing itself during the height of the Industrial Revolution. An impressive mirrored wall serves as the backdrop to the bar and is lined with bottles of booze, waiting for TGI Friday's expert mixologists to whip them into tasty cocktails. 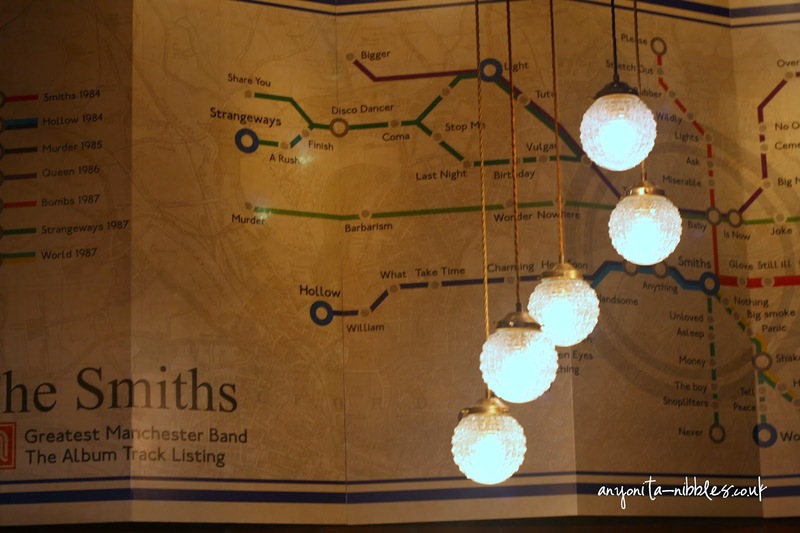 To the right of the bar, beneath a large, solid wood family-style table is a Tube map styled chart of The Smiths' music, branding them Manchester's greatest brand. 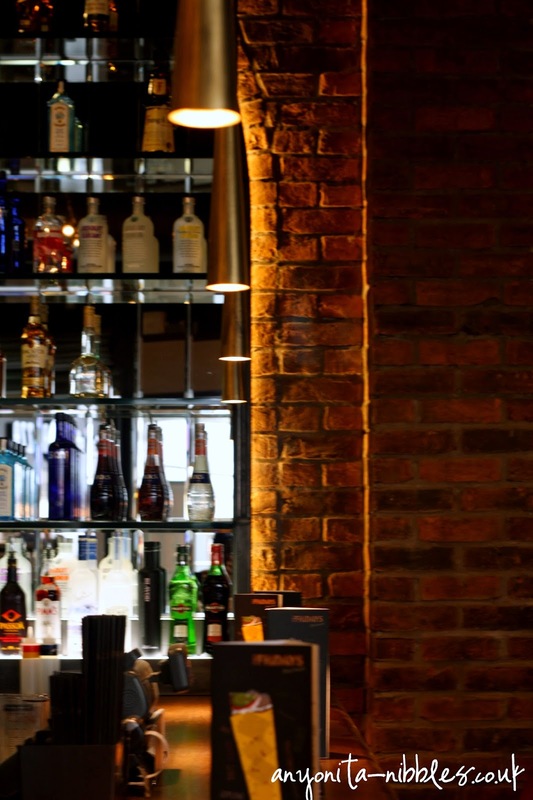 In true Friday's fashion, the dimmed lights and the attentive and caring staff and the general atmosphere of the establishment combine to create a welcoming restaurant that guests want to be in. We settled into a booth opposite huge pane windows just down from the kitchen. At the far end of the restaurant is a monitor showcasing train times and platforms, so those nipping in for a quick bite before catching their train, can keep an eye on the clock. 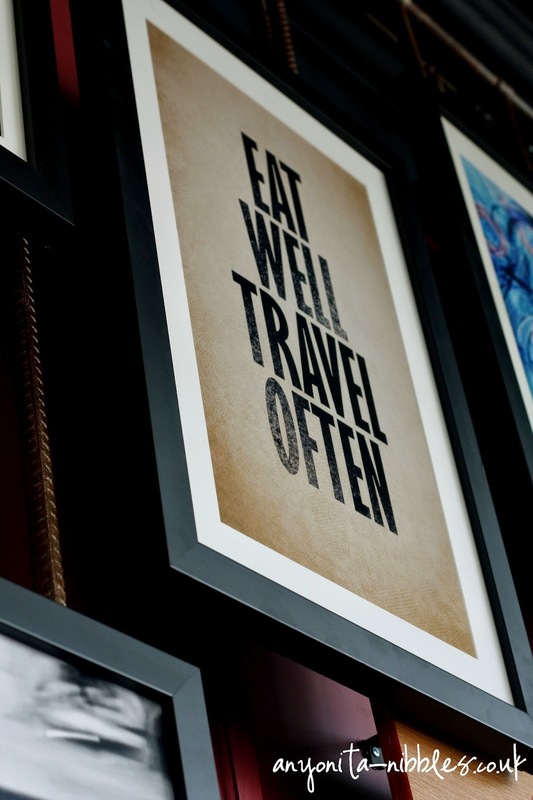 Settling in for a sit-down meal when you've got a train to catch might seem a bit strange, but this extremely cool and urban TGI Friday's has a solution in the form of their Fast Track service. Got a train to catch? Simply mention this to your server and she'll ensure your food is served in time to catch your loco; if this isn't possible, they'll box up everything for you to enjoy on your journey. The Manchester Piccadilly restaurant is the first in the franchise to offer the Fast Track service and although I didn't make use of it on my visit, I caught impressive glimpses from other customers who did and were thoroughly satisfied with it. The thing that I did experience and was absolutely smitten with was the food. 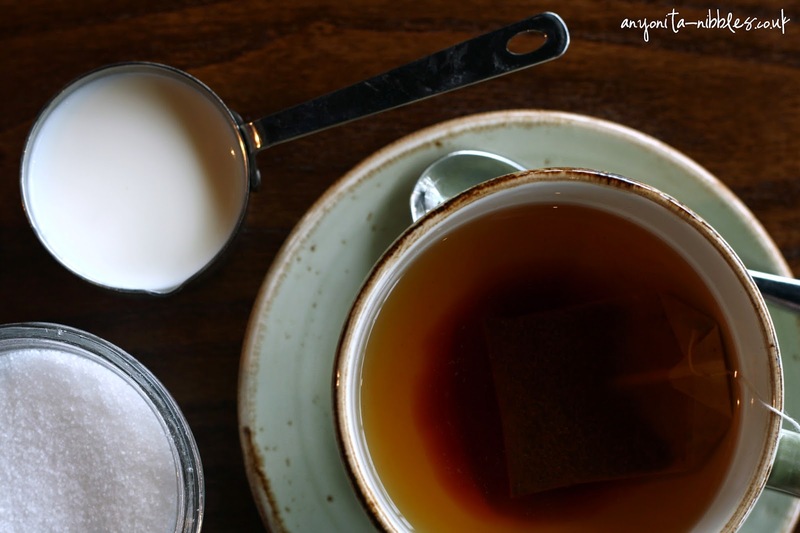 We started with cups of English Breakfast tea and orange juice. 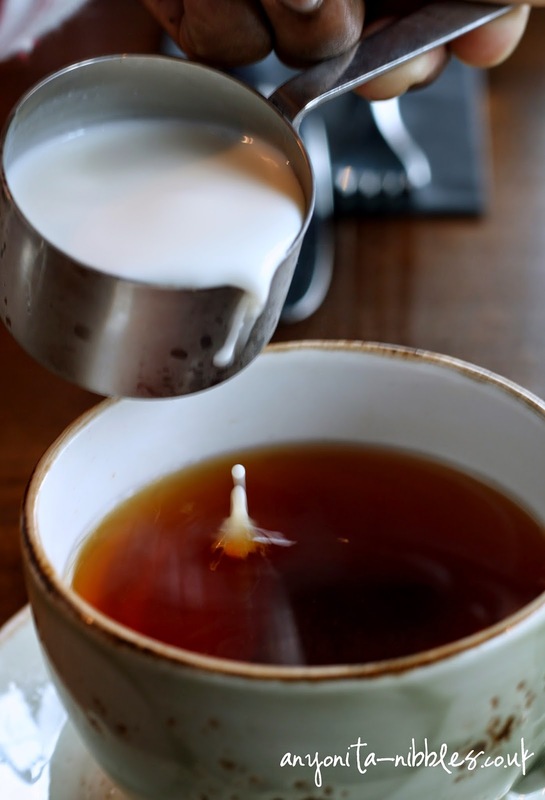 As the tea isn't served in a pot and a pot isn't provided, the tea gets cold rather quickly, so, if tepid tea doesn't get your mojo flowing, be prepared to guzzle it while it's still hot. 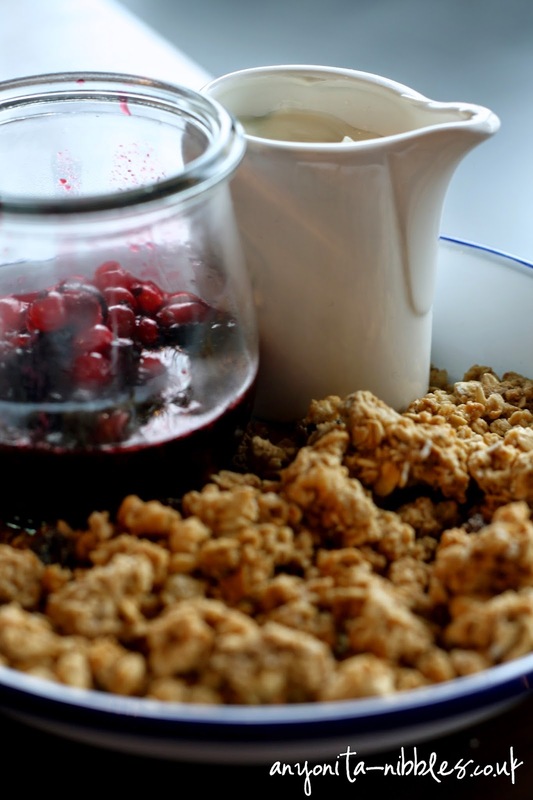 Of all the dishes on the 14-item breakfast menu, we opted for a round of granola served with tangy fresh berry coulis, yogurt and of course, granola. Both me and my husband, who accompanied me for the review, went for the same breakfast mains (boring, we know, but neither of us wanted to sacrifice this amazing dish!) and opted for the incredible Jack Daniel's American Breakfast. It was very American, very Jack Daniels, very big and delicious. Just look at that thing! 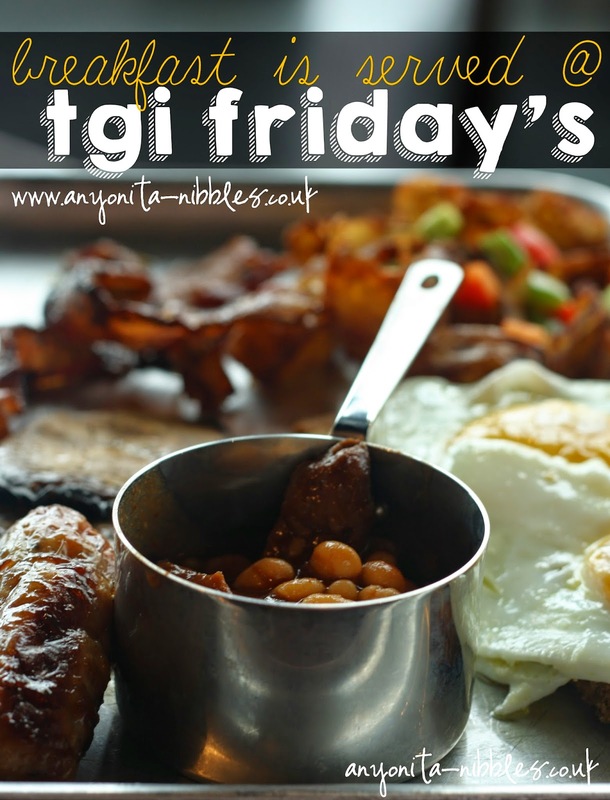 Candied bacon, perfectly fried eggs, potatoes jewelled with fresh peppers, barbecue beans and plump sausages drenched in TGI Friday's sumptuous, famous Jack Daniel's sauce and so much more. 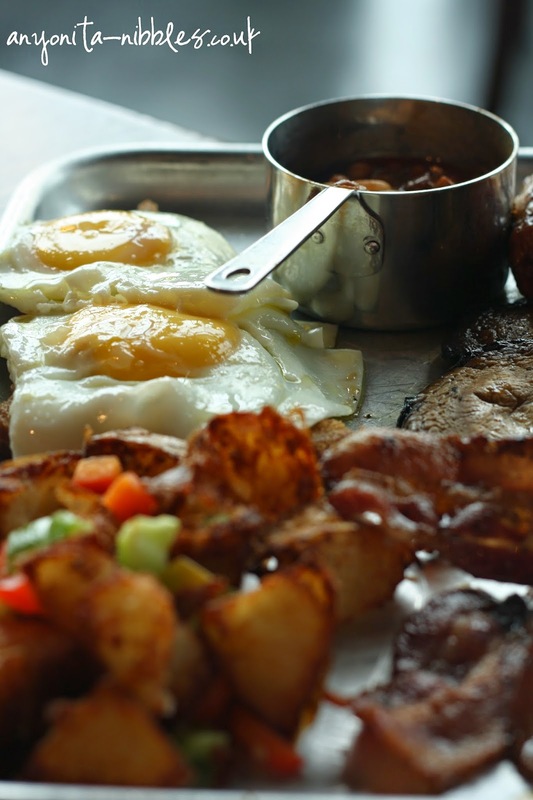 We cannot fault the breakfast--it was everything you want from a good cooked breakfast: filling, hearty and scrumptious. Rounding out our experience at the new Manchester Friday's was the incredible staff. They were all unbelievably helpful, chatty and nurturing (the way TGI Friday's staff always is). We had a good natter with our lovely waitress and the hostess as well as Jane, the restaurant manager. We were extremely well looked after and taken care of. 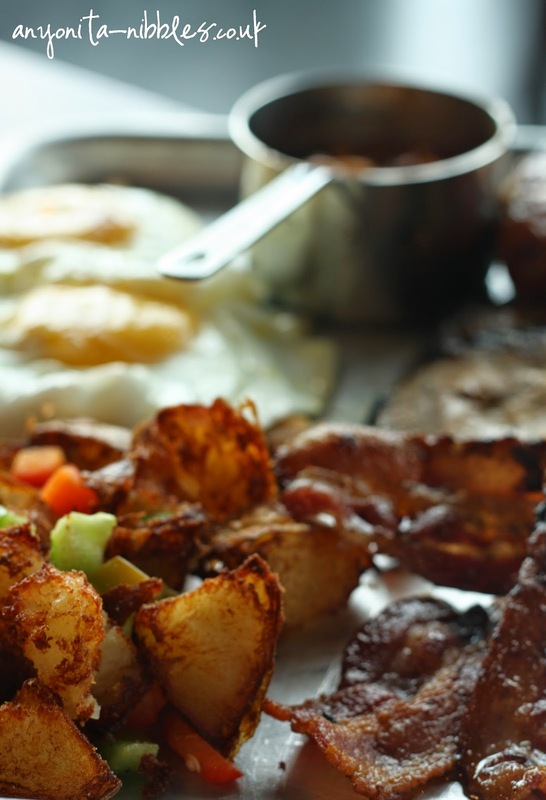 Finding a good fry up in Manchester can be hard to come by, especially on the weekend. With the easy transport links across Manchester to the train station, and the welcoming and friendly staff, we're convinced that this is going to be our new breakfast local. 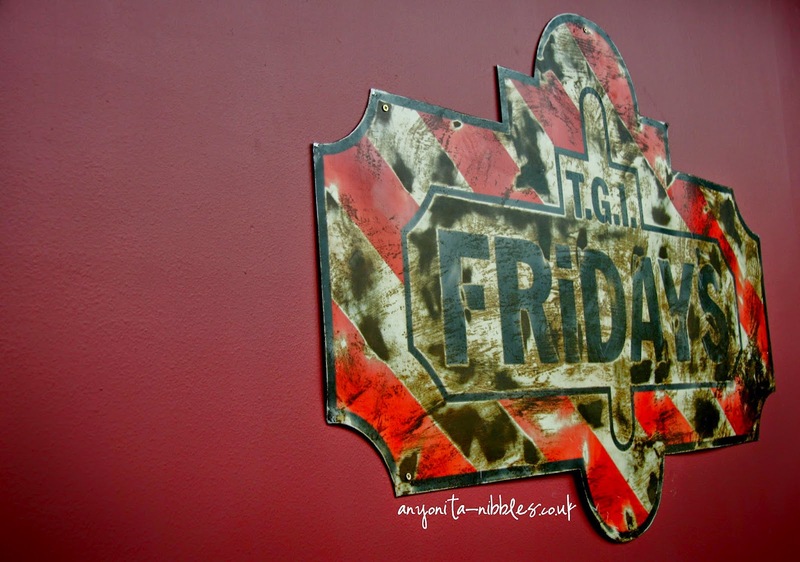 As always with Friday's, you can't beat the food, the level of customer service, the environment or the staff. Who wouldn't go back for that? Anyonita, you did a *great* review for them! But I must admit I absolutely hate the spreading of American franchises/chains all over the globe, especially to my beloved Britain. I'm glad you mentioned the sorry tea presentation -- typical here in the US, but I would think they would attempt a better job of it *there*! I know what you mean about the spreading of American franchises! I'm in two minds about it, on those rare days when I'm homesick, I love it! But I also hate it, because that American hegemony is so strong that it can sometimes suffocate other cultures! I think because TGI Friday's isn't used to actually selling tea at all, it got overlooked. I'm sure they'll be sorting it out quickly, if enough people make a similar complaint. Or perhaps, I just take too long to drink my tea? Haha! I do love a good chat & I'm sure I got distracted!